Australian internationals Nick Phipps and Curtis Rona will be joining English club London Irish ahead of the 2019/20 season. Phipps started his professional rugby debut with Melbourne Rebels in 2011 and switched to New South Wales Waratahs in 2014 and has over 100 Super Rugby appearances. 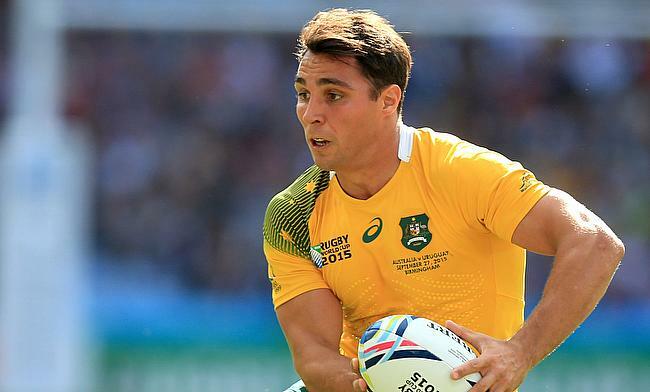 The 30-year-old scrum-half will be in contention for Australia's Rugby World Cup in Japan and if selected, he will link up with London Irish after the showpiece event. Phipps has made 71 Test appearances for the Wallabies since his debut in 2011 and has represented them in the 2011 and 2015 World Cups. He was also part of the squad that competed in the November internationals last year. “It's an exciting time for me to be joining London Irish,” Phipps said “They have a rich tradition, there is a vision with clear goals and a new stadium coming. Meanwhile, Rona started his career with rugby league and switched codes in 2016 when he joined Western Force before moving to Waratahs in 2018. The 26-year-old has also played three Tests for Australia, all of it coming in 2017. "Playing in England will be a challenge but I know that everything is in place for London Irish to succeed - great coaches and players, world-class training facilities, and a strong desire to win," said Rona. "The support is legendary and the London move makes it the right time to join the club."